Visitor — full text (FMV) detective story game. The game tells that on a winter night in 2017 in a residential house there was a case of murder, Shasha died in her own house. Visitor is a full-motion video (FMV) detective suspense game. The game tells a story that on a winter night in 2017, a murder case happened in a residential building, a Shasha died in her own home. Players, playing the role of police, should make a painstaking investigation among a great number of testimonies and evidences, to restore each detail of the whole murder case step by step, so as to find the real murderer. Visitor is a FMV detective suspense game, and nearly all of its subjects are demonstrated in the form of video or real image, including testimony of witness, progress of case, exhibit, report, ending, etc. This game creates a brand now game+film playing method, in which players no long choose the branches appeared, but the whole process of their thinking and analyzing as a police is demonstrated in a realistic manner. It is quite possible that an unintentional wording of the criminal suspect is exactly the key to solving the whole case. 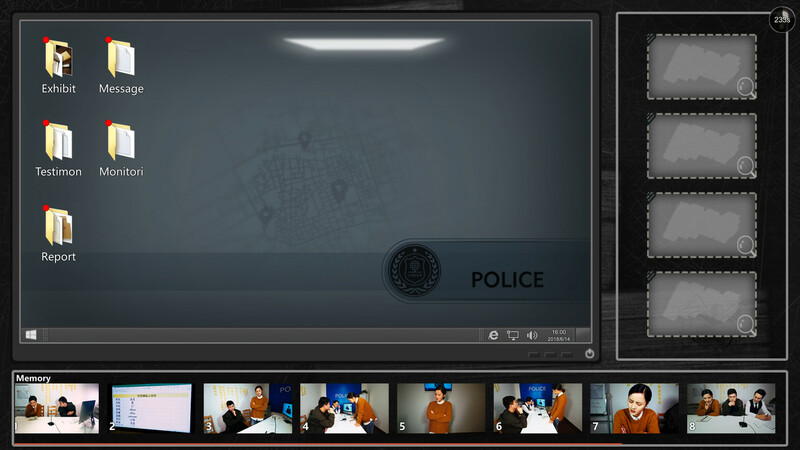 Game interface is police’s computer desktop, in which all materials related to the case are classified and categorized (there will be increasingly more materials with further progress of the case), players are supposed to analyze and think about these materials they have, find correlative or conflicting elements, conduct combination analysis during thinking, so as to reach conclusions one after another.